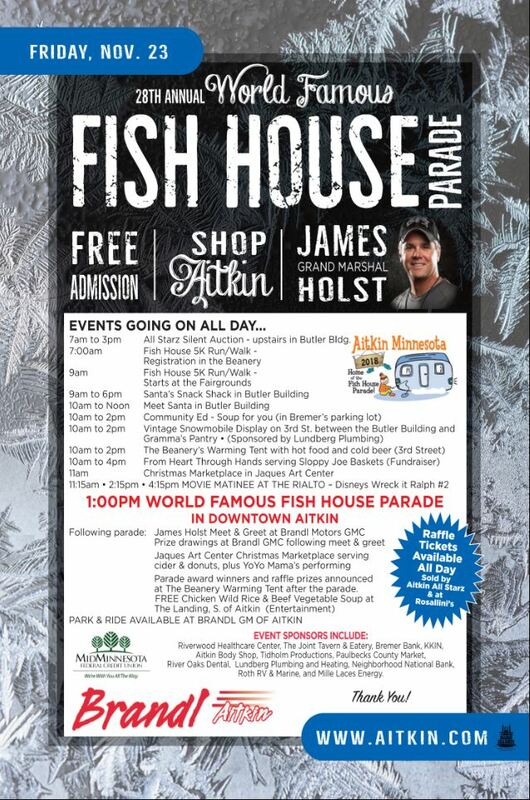 Visit Aitkin and experience the World Famous Fish House Parade! Join 3,000+ parade-goers from all over the U.S. for a day of wild and crazy fun. Start your day out with the Fishhouse 5K, shop the craft fair and charming local retailers, and, of course, hit the parade at 1 pm in downtown Aitkin. Dress warm!